Jerry Lewis who has been in the news over the last year just could not keep his mouth shut. First he went after the gay community, then the American Idol kids and now the obese. It was just a matter of time till somebody finally did something. Lewis had announced he would not be hosting the telethon back in may with no reason why he would skip his 45th year. At the time he also agreed to continue as the head of this very worth while organization. Then of course Lewis decided to strike out again at a group of people who were giving their all to beat the odds. Perhaps the MDA felt that enough hate and hurt was all that people could handle before it affected their organization in a negative way. What pains me the most is that this used to be a very funny comedian who loved to make people laugh. When he first teamed with Dean Martin to form the great comedy team of Martin and Lewis, they were loved. Then came the famous breakup. For years it was rumored that it was Jerry’s ego. I am now starting to believe those rumors. These days Jerry has gone from being extremely overweight of which he blamed on the steroids he was taking for a chronic painful illness. Now that he is thin again, Jerry seems to have forgotten what it was like to be fat. Lewis feels that if someone puts themselves out there on television and takes off a great amount of weight, their still fat pigs unless they get down to one hundred and fifty pounds or lower. Very sad talk for a man that is supposed to represent compassion when he hosted the MDA telethons. If a person loses ten pounds, I personally would reward them. Weight loss only leads to less diseases, personal well being and less cost to the health care system. Yet Lewis feels that this should not be rewarded. Weight loss is one of the hardest battles this country has ever faced and the number of overweight citizens is growing faster every year. We are at epidemic proportions. I guess the old wise tale might be right about a sad angry person behind every comedian or clown. This entry was posted in Film and tagged American Idol, Barry Roskin Blake, Diet, documentary, fat, fat acceptance, finding thin, finding thin documentary, Gay, health, Jerry Lewis, MDA, weightloss. Bookmark the permalink. 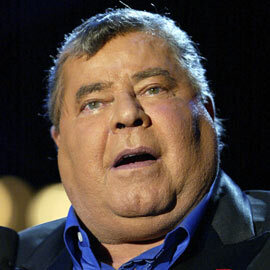 I’ve not seen Jerry Lewis in a long time…..but, he looks like a WHALE in this picture!!! I remember watching for years Jerry Lewis and the telethon. The end of another era. How sad. HE IS STILL A BUM ..HE HAS CHILDREN HE DOESN’T EVEN CARE ABOUT…IM GLAD THEY TOOK THIS HYPOCRITE OFF OF MDS….I USED TO BE ONE OF HIS BIGGEST FANS ..NOT ANY MORE..NOT TILL HE MAKES THINGS RIGHT WITH HIS OTHER KIDS…HELL JERRY, YOU CAN’T TAKE IT WITH YOU …IT’S TIME TO MAN UP. People are too sensitive & too politically correct these days. He’s a comedian so stop taking harmless jokes seriously. He was making fun of himself get it. Look at the amount of money he has raised for a good cause. The man is awesome! Caught him at Tahoe 20 years ago. Terrible show. I kept longing to see the lovable gawky kid, but alas, all I saw was ego & a guy not willing to earn laughter.